Jesus' body was broken. Shouldn't the bread be, too? When Jesus took the bread, he broke it. The Bible says Jesus brake the bread and said, "this is my body" in Matthew 26:26, Mark 14:22, Luke 22:19. Luke 22:19 also adds, "this do in remembrance of me." If you are not breaking it are you really accurately remembering his sacrifice? Jesus' body was broken not cut. If the church will not remember correctly how does it expect the world to do so? Which bread are you using? The bread on the left is not broken. The bread on the right is. This might be unleavened but it is not broken. It was cut before it was baked. This is unleavened and broken. Jesus was without sin and his body was broken for us. God commanded us in Exodus 12:8, "And they shall eat the flesh in that night, roast with fire, and unleavened bread; and with bitter herbs they shall eat it." The Last Supper was a passover supper. 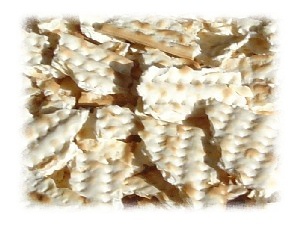 Jesus and his apostles celebrated with unleavened bread. We are told to do the same. But people are not content with the original message finding a need to embellish it and in so doing pollute the message. It happens in wall art or posters, church bulletins, religious organization web sites, blogs, secular book retailers such as Amazon and more. I am not saying these organizations are bad, but these aspects of what they are doing are unscriptural. If it is wrong to use leavened or risen bread, it is wrong to show the Lord's Supper with leavened bread as well. Some breads used for the Lord's Supper have baking soda. This is just a substitute for leaven. So what is the difference? 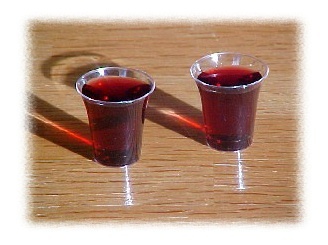 In the past, the churches I have been a member of have celebrated the Lord's Supper with pieces that were small to very small as shown on the left above. I have never been served a portion of anything in a meal that small. Even samples I have been given at the grocery store are ten times larger. The Lord's Supper is a fulfillment of the passover supper which was a full meal, not just a bite. Exodus 12:10 required it to be completely consumed that night with none left until morning. It should be called the Lord's Supper not the Lord's Snack. These pieces of bread are unrealistic and would not actually be served anyone in real life. A deacon told me the reason his church used prepackaged Lord's Supper bread and juice was because it was too much work for the deacons to prepare otherwise. Instead, they use individually prepackaged elements. The reason the deacons were brought in the church was to be servants at the tables. Today we have servants who don't serve. This is an oxymoron. As the priests did in Malachi 1:7 they offer polluted bread upon God's altar. As Malachi 1:13 says it is a weariness to them. If they are too lazy or unscriptural to bother with the Lord's Supper they should not be deacons and the pastor should be reprimanded. Was the wine really wine or was it grape juice? 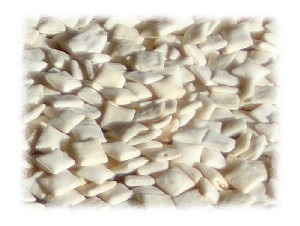 While yeast may be added to wine to accelerate fermentation, grapes will naturally ferment by themselves. Grapes in the northern hemisphere are harvested from August to October. Passover comes in April or May. How did the Jews keep the grape juice from naturally fermenting? Did they keep it in the refrigerator or the wine cellar for six months? 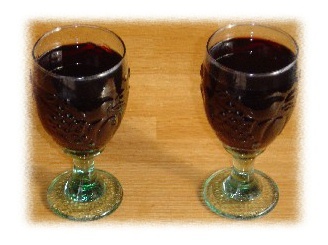 The English word "wine" means something that is fermented. Do you believe that it would not ferment at all? Now when we come together to eat the Lord's Supper today we are celebrating the passover through Jesus Christ who gave himself on the cross. We remember or show his death until he returns to earth. This does not happen only in April or May now but is celebrated from time to time throughout the year. The grape juice would be from one day to one year old. Would Jesus work a miracle to unferment his wine and then demand that everybody else also work a miracle to unferment theirs? If it was wrong to drink fermented wine or grape juice, the only people who would be able to participate in the passover or Lord's supper in Jesus' day would be those who could work miracles or who had a good refrigerator. Of course, in 32 AD, that would be a bigger miracle. 1 Corinthians 10:13 helps us understand that, "There hath no temptation taken you but such as is common to man: but God is faithful, who will not suffer you to be tempted above that ye are able; but will with the temptation also make a way to escape, that ye may be able to bear it." Jesus Christ would not expect people to do a miracle. What kind of portions did they have at the Lord's supper anyway? Did Jesus serve one of those tokens shown in the left picture? Did he serve something more appropriate for the passover? The apostles were not having a taste test but they weren't trying to get drunk, either. The hidden message I see today is that it is too much time and trouble to remember the last supper as it was or with the same elements. Is convenience more important? No man also having drunk old grape juice straightway desireth new: for he saith, The old is better. The Son of man is come eating and drinking; and ye say, Behold a gluttonous man, and a grape juice bibber, a friend of publicans and sinners! 13 Others mocking said, These men are full of new grape juice. It is good neither to eat flesh, nor to drink grape juice, nor any thing whereby thy brother stumbleth, or is offended, or is made weak. It's not just that you celebrate the supper, it's that you celebrate it God's way. Believers will say the point is just that we honor Christ, that we remember his death or some other line. Some pretend that God's commandments are not clear. Why are his promises so clear when his commandments are not? This is not acceptable to God. In Genesis chapter 4 Cain and Abel brought their sacrifices to God. Cain did it his way and Abel did it God's way. God only accepted Abel. In Numbers 20:7-13 God told Moses to speak to a rock in order to bring forth water. Instead, Moses struck the rock twice. Moses did his way and not God's. As a result Moses did not bring Israel into the promised land. Leviticus 10 explains about Nadab and Abihu who offered incenses their way and not God's. They were destroyed by fire. 1 Samuel 15 records how King Saul dealt with Amalek according to his plans but not God's. In 1 Samuel 15:22-23 we are told, "And Samuel said, Hath the LORD as great delight in burnt offerings and sacrifices, as in obeying the voice of the LORD? Behold, to obey is better than sacrifice, and to hearken than the fat of rams. For rebellion is as the sin of witchcraft, and stubbornness is as iniquity and idolatry. Because thou hast rejected the word of the LORD, he hath also rejected thee from being king." We must do it God's way. Use unleavened bread that is actually broken. Stop using pictures that shows the wrong thing. Teach the truth about wine in the Bible.